The EOS brings together high calibre leaders in the outdoor industry from across Europe and beyond, providing them with a unique opportunity to learn, network and share with like-minded individuals. The Summit delivers inspirational speakers debating and discussing the pertinent topics, and this year’s theme will beThe Outdoor Industry - Redefining Boundaries. Discussion points will include; whatdo business leadersneed to doin order to shape a company of the future? The once firm and rigid business model boundaries needing to be rethought, and the ability of a CEO and her/his team to reshape an organisation’s structure in a way that supports innovation and dynamic change, will be vital to success. 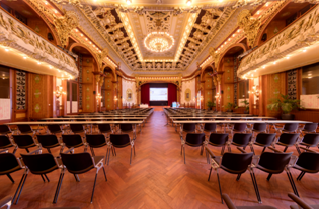 The EOS 2019 will take place at Congress Centre, Kursaal Interlaken.Located in the heart of Switzerland, Interlaken is within easy reach by public transport from Bern, Zurich, Basel and Geneva airports. 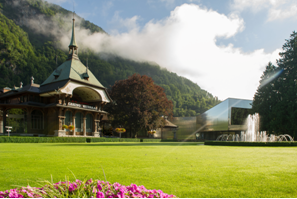 Nestled between two lakes and surrounded by a stunning and unique mountain backdrop, the Congress Centre is centrally located between both train stations, making it easy to reach. Details about speakers and how to book a place at EOS 2019 will be available in due course. For more information about the summit, visit www.europeanoutdoorsummit.com. For press enquiries please contact Priya Mistry Keall or Marta Williams at MCS PR E: priya@mcspr.co.ukmarta@mcspr.co.uk T: 0161 437 4634. The European Outdoor Group was founded in 2003 by 19 of the world’s largest outdoor companies, all of which recognised the need for a cohesive, cross border approach to representation of the outdoor sector. In a world of increasing internationalisation, legislation, environment, the media and trade are all now multinational issues. The combined strength of the EOG’s member brands (103 full members and 10 associate members), provides the group with an extremely powerful force to represent the European outdoor industry in a constructive and positive manner. The European Outdoor Summit is an initiative of the European Outdoor Group, the association set up to represent the common interests of the European outdoor industry. The event is held annually and is a credible, relevant, informative resource that enables around 300 delegates to learn more about, reflect on and discuss the issues that they collectively face. The EOG has the lead role in delivering the summit, agreeing appropriate topics related to industry needs, focussing on current and future economic, technical and social trends, and developing a theme and content that matters to the trade across Europe.